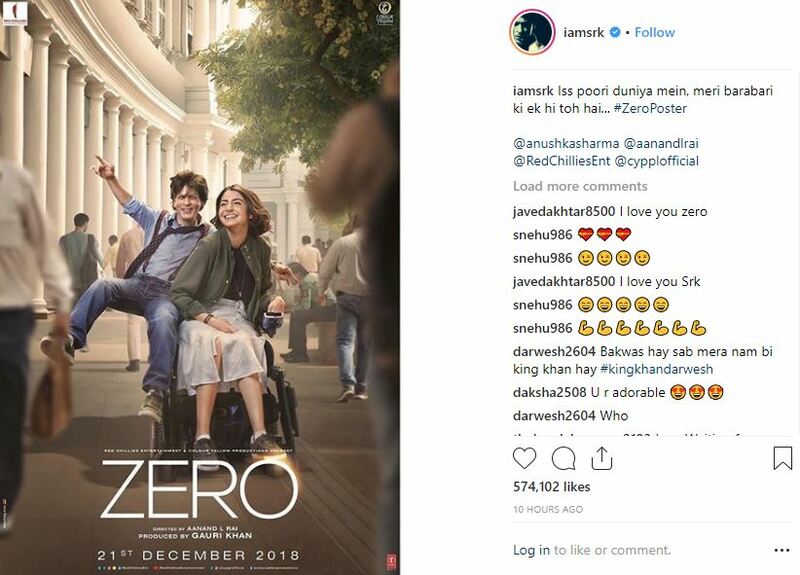 Shah Rukh Khan’s upcoming film, Zero directed by Anand L. Rai has been in the news for all of the year due to one reason or the other. 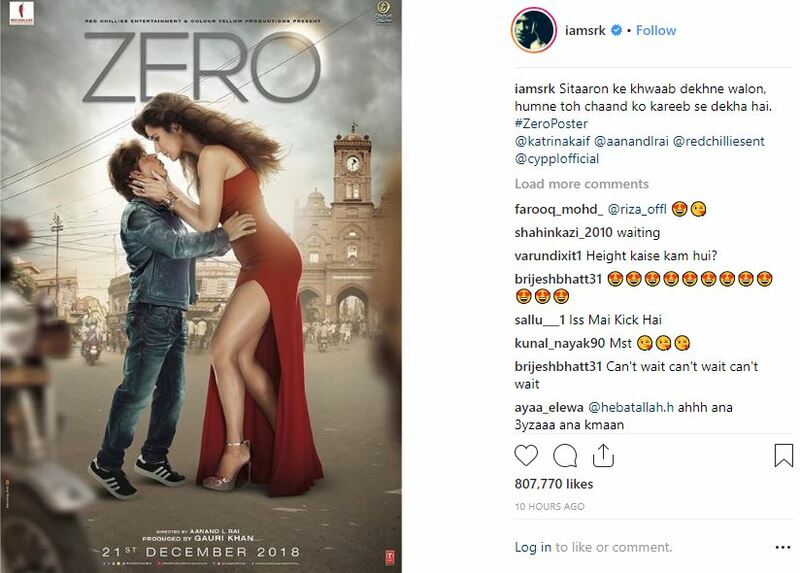 Shah Rukh who will be playing a midget in the film has treated his fans with two new Zero posters this morning. 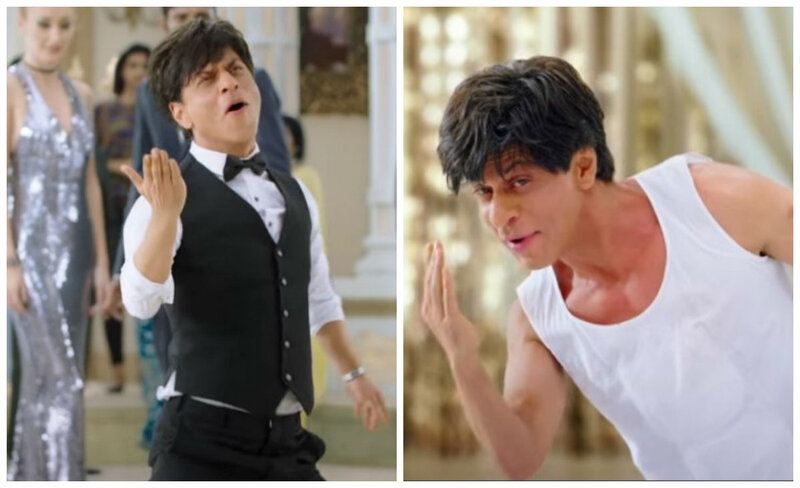 Earlier when he shared his look and teaser from the film, the fans went crazy for he looked extremely cute and fun in the teaser. This will be the first time he will be playing a midget and clearly, it has got many fans interested. 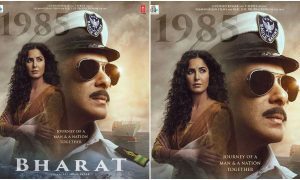 Not just this, in fact, what got the eyes rolling was that Salman Khan will also be doing a cameo in the film, as teased by the filmmakers in the teaser. 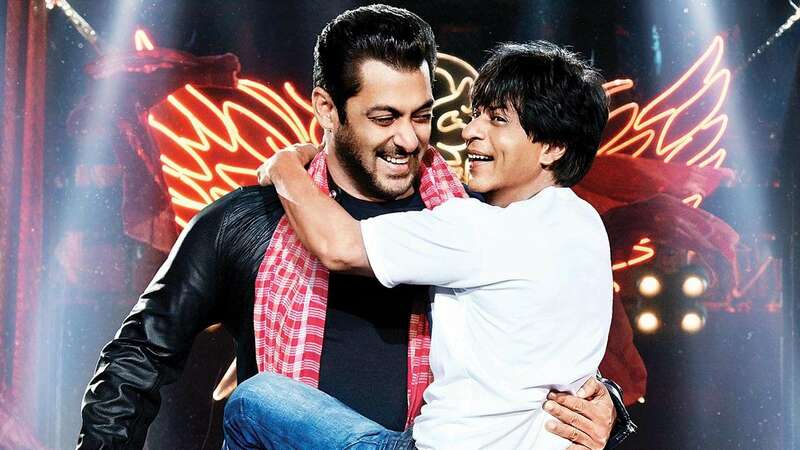 There is an undercurrent of rivalry between the two but the two seem to be burying the hatchet as Shah Rukh also did a cameo appearance in a Salman Khan film, Tubelight last year and are often seen at promotions of their films together. 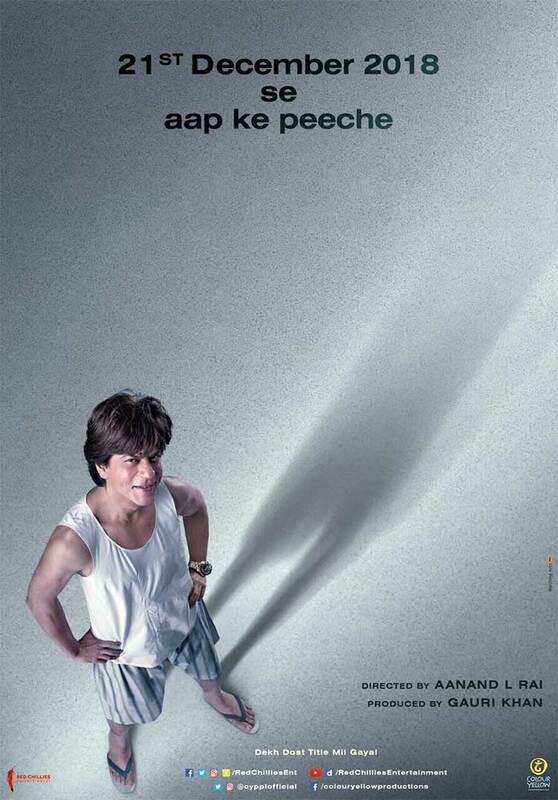 Anushka Sharma’s role hasn’t been yet revealed but she looks equally cute in the poster. She is wheelchair-ridden, as seen in the poster. But there are several speculations about her being a scientist in the film. Katrina Kaif is said to be playing a mainstream actress in the film and looks the part, perfectly. Doesn’t this remind you of Om Shanti Om where Shah Rukh was smitten by Deepika Padukone’s beauty who also played an actress in her debut film? 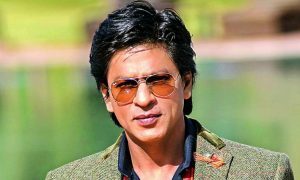 Shah Rukh Khan’s character in the film will be called Bauua Singh. Zero star cast and their looks have left us intrigued even more and definitely, tomorrow’s trailer launch will be even more interesting. 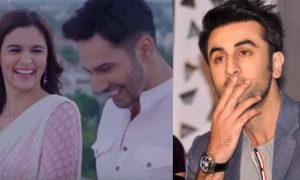 This is the second time, the three of them have been cast together in a film. 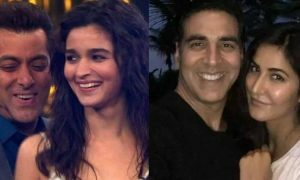 They also did ‘Jab Tak Hai Jaan‘ together. It was Yash Chopra’s last directorial film. “Anushka takes two days to just be by herself before every schedule of the film to get into the skin of her character. She takes five hours to get in and out of her look”. She takes longer to get in and out of the character because, in this film, it has been reported that she will be using prosthetics to look the character. Isn’t that interesting? 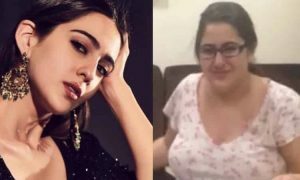 Lately, a couple of movie stars have used prosthetics, be it Rishi Kapoor from Kapoor and Sons, Ranbir Kapoor from Sanju or now, Anushka Sharma from Zero. But again, it will be nothing short of real entertainment. 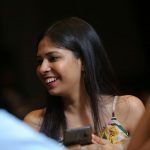 Though the trailer will be out tomorrow, you can check out the teaser of the movie (link mentioned above) if you haven’t already. 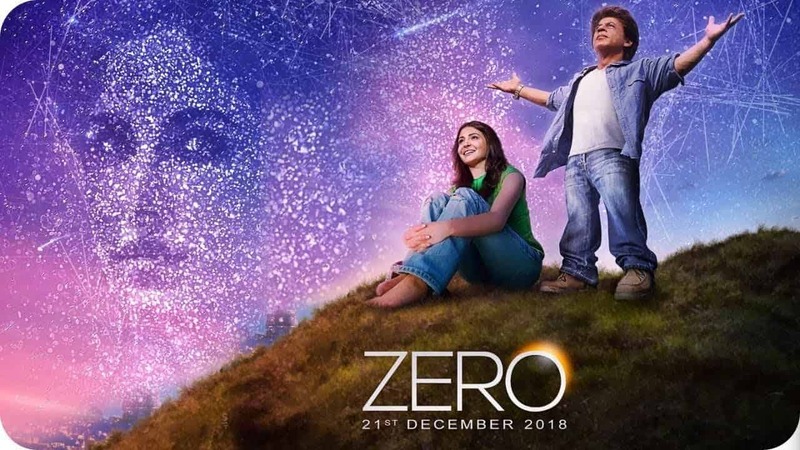 Zero is slated to hit the theatres on 21st December 2018. Priyanka Chopra Reveals What She Loves About Nick Jonas The Most!